Schumann might be better known as a composer for the piano. 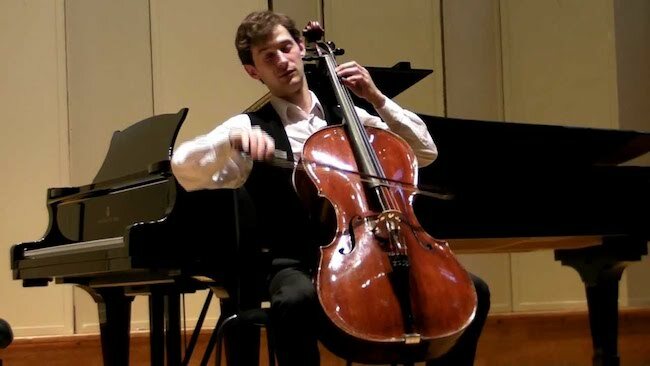 How successful has he been in writing for the cello and orchestra? Perhaps not very successful at the time it was written, purely because of the circumstances and the fashion of those days. 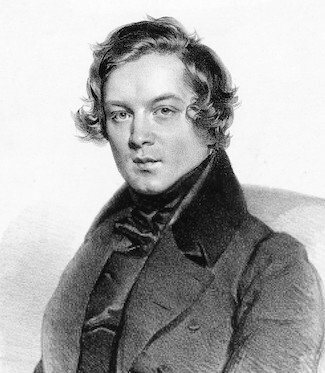 It was not performed until after Schumann (pictured) died. While being a musical masterpiece, this concerto is very awkward and difficult to play from a technical point of view. However, the cellists at the time criticised the piece for not being virtuosic enough. It is not a typical Paganini style concerto, but a very delicate, fragile yet temperamental piece. What makes Firebird, and Michael Thrift as conductor, the perfect combination to support you as a soloist in this piece? I have a long relationship with Firebird and it is always nice to come back and play with this orchestra that has a vibrant and youthful energy in it. Also, I am looking forward to working with Michael Thrift (pictured) for the first time, and since he has worked with Firebird previously it will make our collaboration even more exciting. How do you bring something fresh and exciting to such well-known and often performed works like these? 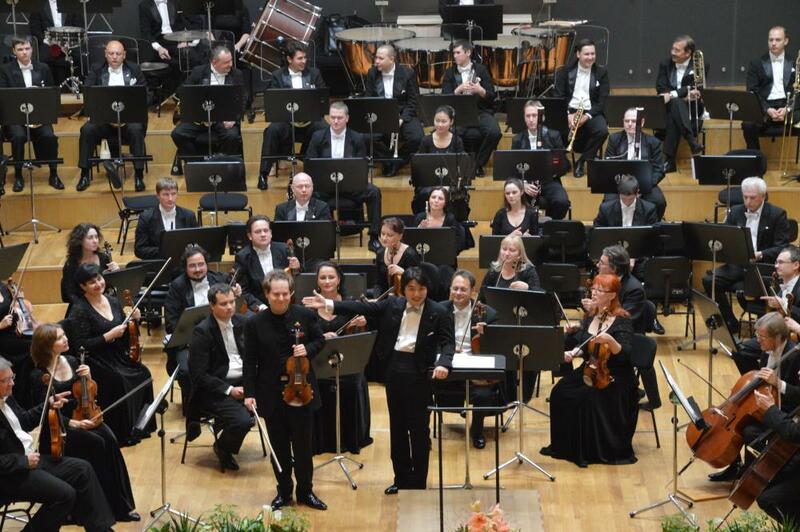 Even if the same piece has been played for one hundred times by the same soloist and the same orchestra, it is impossible for them to remain the same. People change every second, so does their perception of music. Whether you want it or not, it will be different. As for the freshness, I do not think that our concert on the 14th of March has the risk of being out of date. What do you expect to be the main areas you will need to focus on during the rehearsals with the Orchestra? At the rehearsals I think is very important to find and establish understanding between the soloist, the conductor and the players. Once it is there the working process becomes very enjoyable and productive. My favourite part of it is the end result, of course, when you forget everything and just give yourself into the hands of music. And what else is in the pipeline for you in 2019? This year is quite busy with various projects. I am working on different concerti at the moment including projects with the Royal Scottish National Orchestra (RSNO) as a soloist. I am developing a collaboration with a fantastic pianist Alasdair Beatson, chamber music concerts with my colleagues from RSNO, BBC Scottish and Scottish Chamber orchestras! Also, I spend some time guesting in other orchestras in the UK and Europe as a Principal Cellist. Join London Firebird Orchestra in this spectacular central London venue for a wonderful evening of music with these three great works from the very heart of European classical music in the 19th century. I am currently studying for my bachelor degree with Yuri Zhislin at the Royal College of Music. 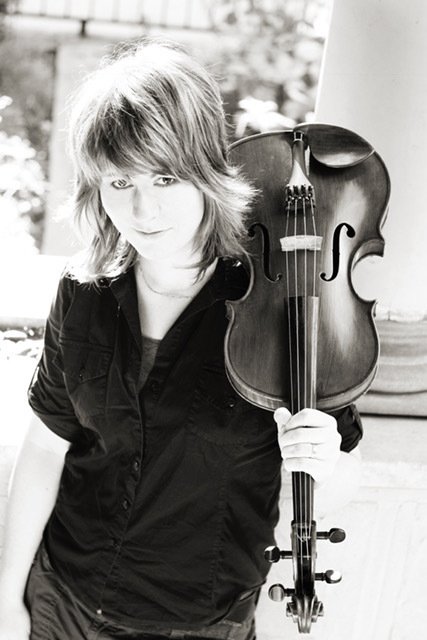 Viola has been my main instrument for over 10 years. Growing up in one of the smallest cities in the world, Hong Kong, I am lucky enough to be part of the Hong Kong Academy of Performing Arts as a junior student and receive professional musical training in an early age. How long have you been involved with Firebird? My first concert with the London Firebird Orchestra was in March earlier this year. I had two concerts with LFO in total and was allocated as the leading desk of the viola section. Initially, this was an exciting challenge for me, but it was definitely a very rewarding experience as a performance student as I plan to be a full time performer in the future. What other musical groups are you involved with? 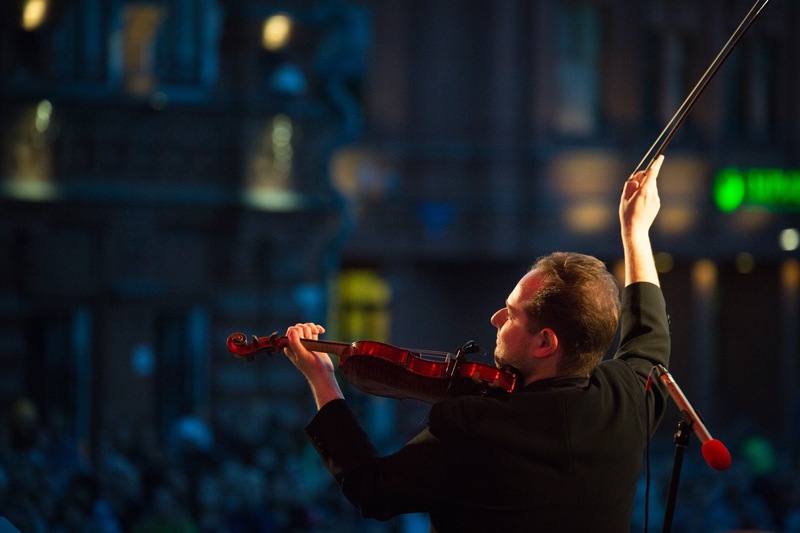 I have performed with various orchestras in London including the University of London Symphony Orchestra, the Southgate Symphony Orchestra and I am actively involved with the RCM Orchestras. 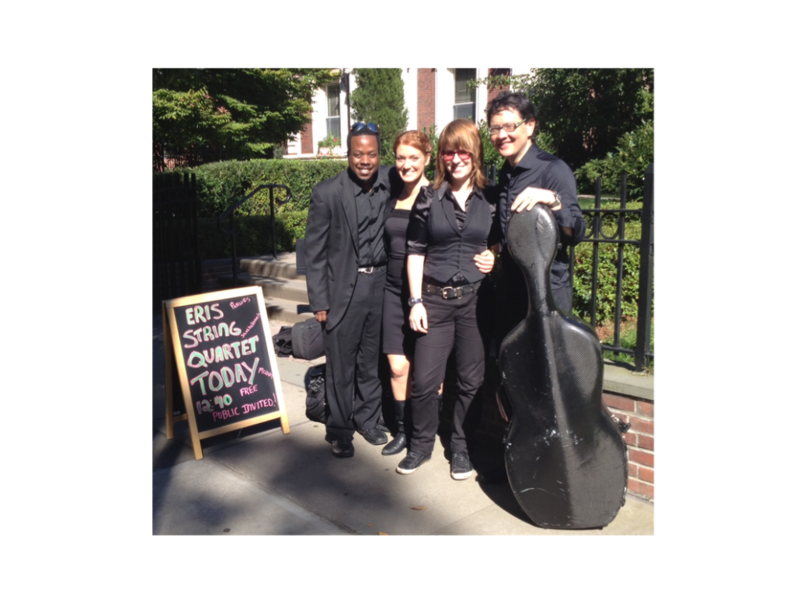 I also frequently perform with my quartet and duo formed in college. One of my most unforgettable performances was playing Rachmaninoff’s Symphony No.2 with the RCM Philharmonic Orchestra. I was especially touched by the third movement and ‘teared up’ during the actual concert. That was also the moment I realised music is truly what I want to do in rest of my life. In my first year of college, we participated in a chorus project and were very fortunate to have maestro Bernard Haitink as our conductor of the performance. Even though I was in the chorus, I was so excited and honoured to perform on the same stage with one of the greatest conductors in the world. This was a totally inspiring and rewarding experience for any musician. And what about your future ambitions in music? Performing in both orchestra and chamber groups is definitely the future path I want to pursue. Hong Kong is a place full of rules which I think also strongly reflects in music learning. I was always told to follow rather than to think or create. I was quite amazed by the teaching style in Europe when I first came to London. One of my ambitions is to bring these teaching ideas to the new generation in Hong Kong. Other than music, I am also into cooking. Lately, I have been thinking about creating a place for people to enjoy music and food at the same time. Ideally something like a music cafe for musicians to relax and to make friends. What do you see as the value of Firebird to musicians like yourself? As a young musician in the music industry, it is extremely important to learn as much orchestral repertoire as possible. Being able to learn music quickly is an essential skill for any orchestral players. Therefore, I think an orchestra like the London Firebird is providing a great opportunity for us to learn and to build our professional skills which we need for our future careers. 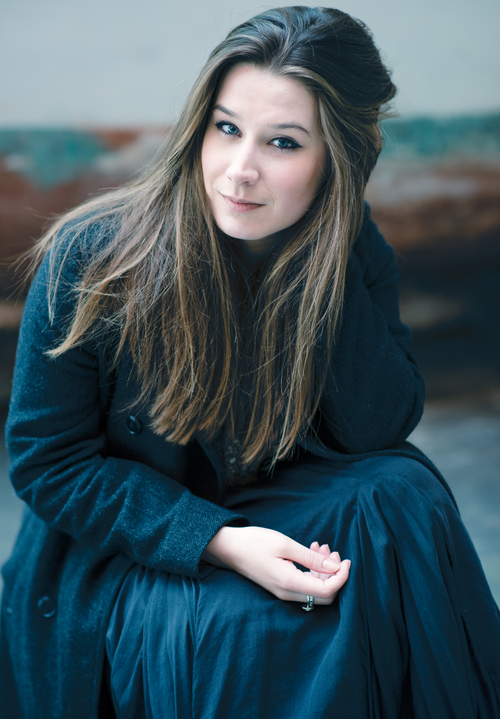 My early career has been largely based around song repertoire, Russian and German in particular and I have been very fortunate to have performed at some of London’s most prestigious venues such as the Barbican and Wigmore Hall. 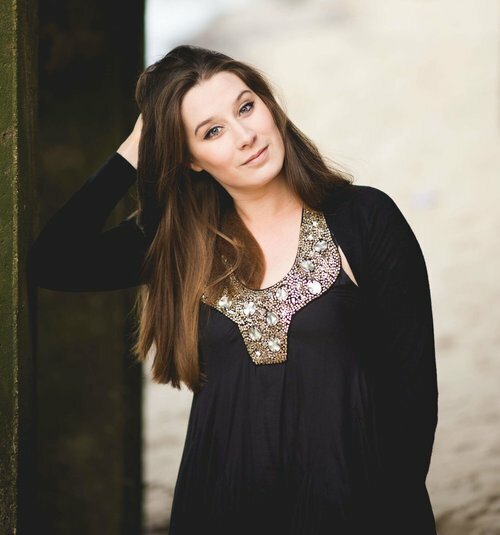 I began my training at Wells Cathedral School as a specialist singer. I then went on to do an undergraduate course at the Royal Academy of Music and a Masters at the Guildhall School of Music and Drama. Since then I am just breaking into the opera scene as a lyric soprano having recently performed at Garsington Opera, where I was fortunate enough to be awarded the Leonard Ingram Award. This will be your first collaboration with Firebird. How did that come about? I was very fortunate to meet and work with the conductor George Jackson on a recording project earlier this year and he very kindly suggested me for this particular concert. I have a history of performing in Russian quite a bit in my song work, so to perform such a famous aria in Czech is very exciting but also a language not too dissimilar to one I am used to singing in. Which other ensembles do you perform with? I am a part of an ensemble called The Prince Consort, a group of singers, pianists and artists, founded by pianist Alisdair Hogarth. We perform a wide range of song and collaborate with film artists, poets, jazz and folk musicians to create something really quite new, including a series of really beautiful classical music videos, of which I have performed in several. It is a really exciting thing to be a part of and is a fantastic platform for performing a lot of my favourite music. Performing the Brahms Liebeslieder Waltzes with The Prince Consort at The Wigmore Hall (which is how I came to work with the group) was certainly one. My recent performance as Pamina at Garsington Opera was thrilling, I was understudying the soprano Louise Alder who was unfortunately unable to perform one evening and I went on to play the role. Finally Alisdair Hogarth, Aisa Ijiri and I recorded a group of love songs for Classic FM at The Wigmore Hall on Valentines Day. That was just really special and I loved every minute of it. To perform the music I love, with musicians I like and respect. Working with wonderful people is so important. There are certain roles of course, which are a dream; in particular for me would be Eva in Wagner’s Die Meistersinger, but we shall see. Pamina was also a dream and I really didn’t expect to have achieved that one so early in my career. I will happily perform that role for the rest of my life! Finally, what do you see as the value of Firebird to musicians like yourself? We all need platforms when leaving our training and working in this business. I have been out of music college for a little over a year now, I absolutely love it. 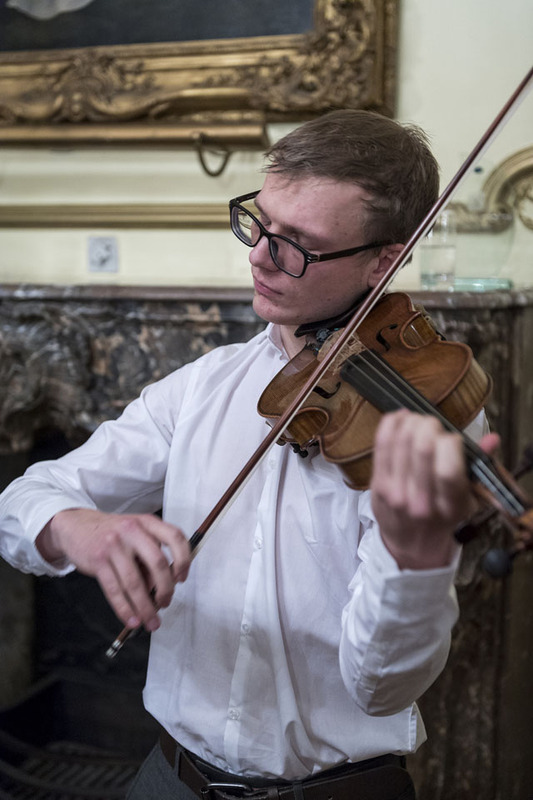 However it is challenging finding work and this orchestra provides young orchestral players and soloists alike the opportunity to perform and it bridges that gap between study and the profession. Also as a vocal soloist, its rare to have the opportunity to perform arias with an orchestra and it is such a vital part of our job and is a completely different skill to performing with a piano. I am also grateful for the opportunity to meet new colleagues who I hope to stay in touch with. 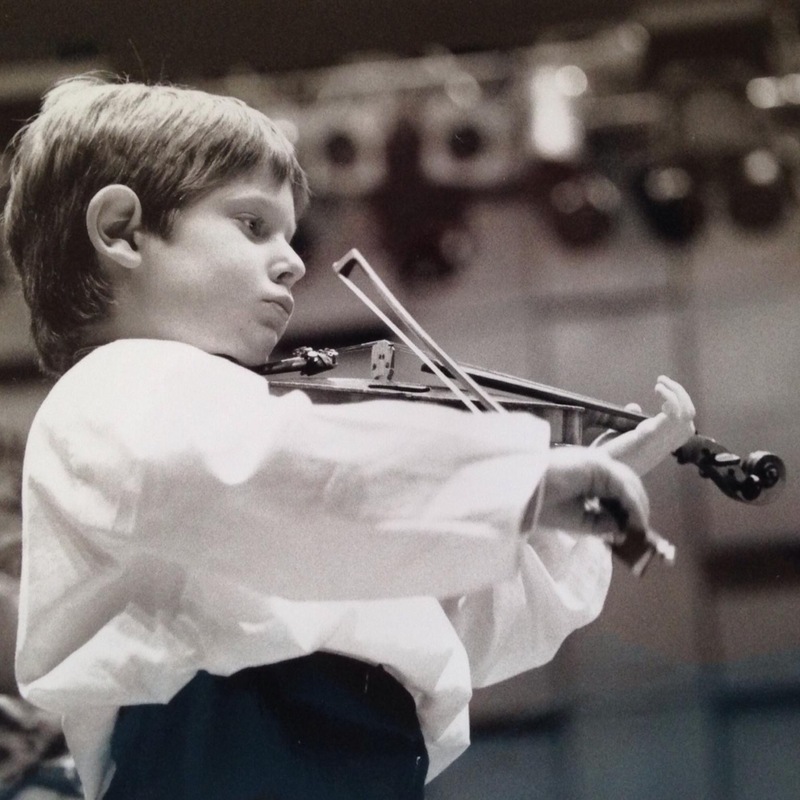 I started playing the violin when I was 5, in the Junior Strings Programme, which is based at the Royal Northern College of Music in Manchester. Following that I went on to study at Chethams before moving to London where I am starting my final year of MMus at Trinity Laban. Here I have been studying violin with Rivka Golani. How long have you been involved with Firebird and what other musical groups are you involved with? I’ve been involved with the London Firebird Orchestra for three years now. During that time I’ve had the pleasure of sitting as co-principal on the front desk of both first and second violins. 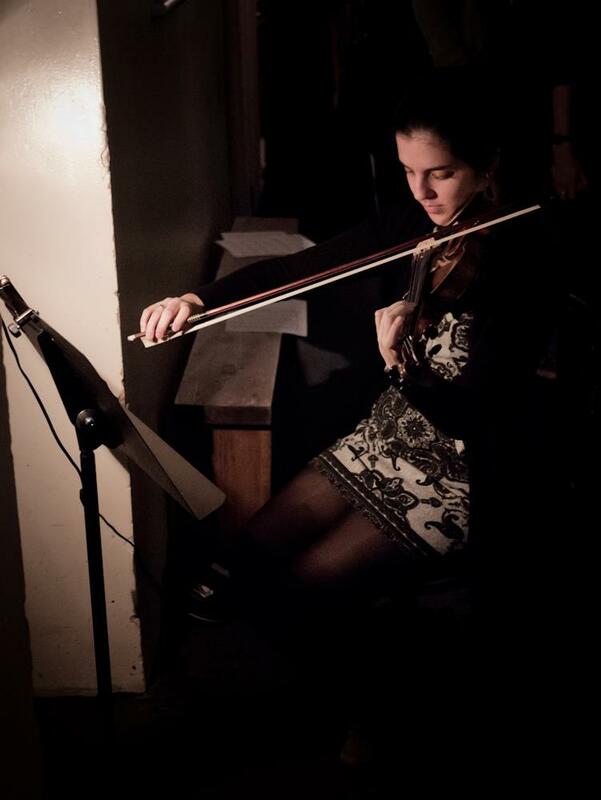 I play with several other gigging orchestras and foremost with my conservatoire orchestra. 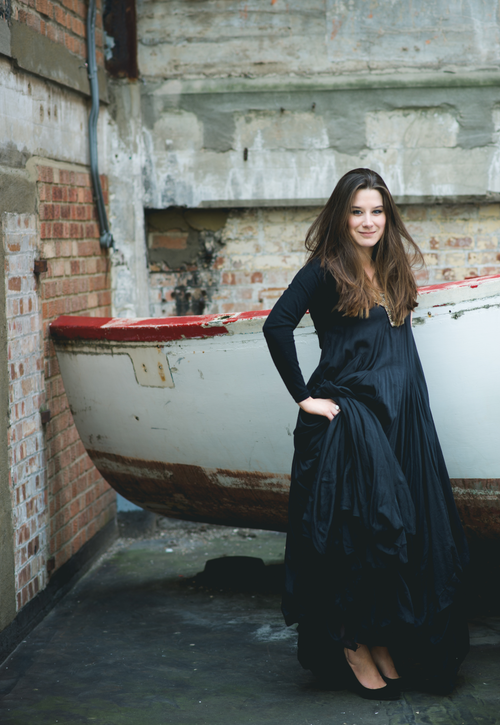 I am also a member of Duo Karma, with whom we give recitals around various London venues. Since arriving in the capital, I’ve been fortunate enough to perform chamber concerts in lots of fantastic venues including Kings Place, Wigmore Hall and most recently St Martins-in-the-Fields. A particular highlight for me, was giving the world premier of David Jaeger’s quintet, Sun Moon and Snake at a concert dedicated to the First Nation people of Canada, some of whom attended the event, where they also gave a very special performance of their own. My ambitions for the future is a big question for me – as with most musicians! At this point, I really want to continue making music, learning and improving. From everything I’ve experienced so far, music has such an all encompassing way of involving itself in every aspect of your life that it really feels like anything is possible. Firebird offers young professional musicians a great opportunity to learn new repertoire and to work with fantastic conductors and soloists. It’s also a great place to meet new people and grow your network of musicians. Most of all, I really appreciate these opportunities to continue to throw myself into the process and continue to stretch and grow. Can you tell us something about your musical training and professional development? I grew up in Italy where I started playing piano from the age of 5. I still remember how much I loved playing duets with my sister and best friend. When I was 8 I realised I wanted to play violin. 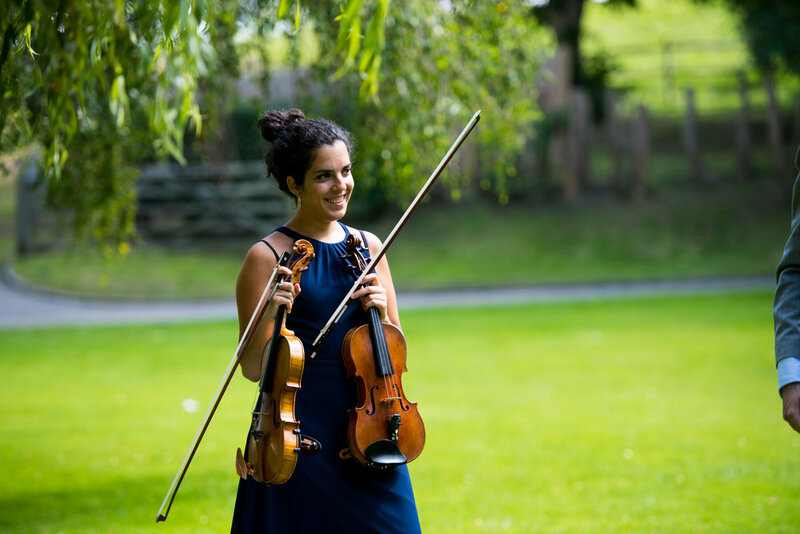 After studying violin for 9 years at the Conservatoire in Milan I moved to London and graduated with a Masters from Trinity Laban Conservatoire, after studying with John Crawford. Since then I have been teaching for Lambeth Music Service, freelancing with orchestras and ensembles around London and abroad, and performing in music festivals in Cornwall, Estonia, Sweden and Turkey. Participated in the St Endellion Festival working with artists including Martyn Brabbins, Mark Padmore and Susan Bullock. I also regularly perform with the Little Orchestra, Orchestra Vitae, Amadeus Orchestra, Women of the World Orchestra and the London Musical Theatre Orchestra. On Remembrance Friday 2016 I performed Mahler’s Symphony No.2 with the London Mahler Orchestra to a sold-out Southwark Cathedral (in candlelight!). With over 100 musicians and 150 singers on stage, this was the biggest musical project I have been involved with, and it was a very emotional and hugely inspirational experience for me. In the last couple of years, I have also been performing with the Street Orchestra of London conducted by Gijs Kramers. Our tours are always unique experiences performing around 5 concerts a day, with repertoire ranging from Haydn and Mozart to Bernstein, Sidney Bechet and Snoop Dogg. Our aim is to bring music to everyone, completely free of charge in parks, squares, schools, libraries, refugee and detention centres, nursing homes etc. Playing with this orchestra is definitely one of the most eye-opening and exciting musical experiences I have ever taken part in bringing music to those who are least likely to be exposed to it as part of their daily lives. 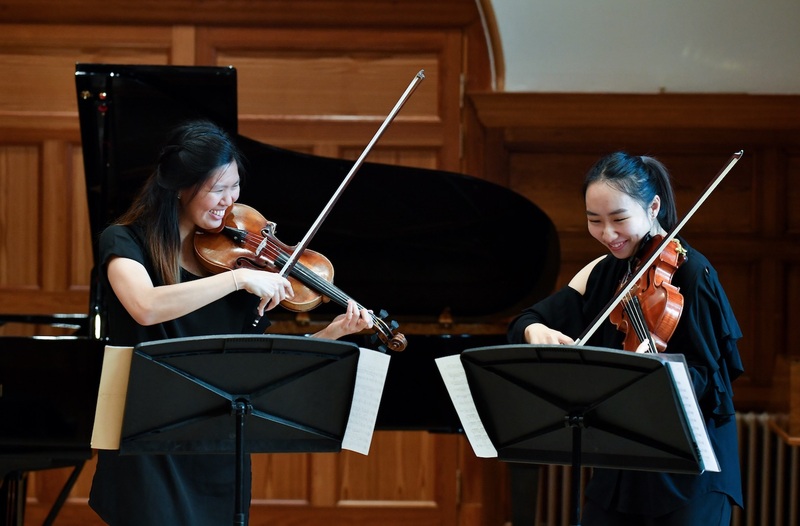 It’s so easy to lose touch with how instinctive and joyful connecting with other people can be, and it’s a wonderful privilege to be able to do this through music. I have a real passion for opera and I would like that to be a big focus of my future orchestral career. There are very few things which move me as much as a performance of Verdi or Puccini! I also have a very strong belief in the educational and connective powers of music and I want to continue working with organisations which bring music to disadvantaged communities and people surviving war and other psychological traumas. I enjoy playing with the Firebird Orchestra because the level of musicianship is always very high, and there is a very friendly atmosphere in the orchestra. All the musicians I have met there are roughly in the same place in their careers. This means that there is little competition and that everyone always contributes positively towards each performance. I believe the orchestra is a great opportunity for recent graduates to bridge the transition into professional playing, and working with them has been a great source of inspiration for me and other musicians alike. Can you tell us something about your musical training and professional development. I’m currently studying at the Royal College of Music with Jan Repko for a Masters in Performance. I previously studied at the Royal Irish Academy of Music in Dublin. Before pursuing a career in music, I was determined to be a criminal lawyer and studied Law at University College Dublin. I loved the violin too much though and jumped ship! My first concert with London Firebird Orchestra was back in June where I renewed acquaintance with Beethoven Symphony No. 5. Since moving to London, I’ve done quite a few projects with the RCM Symphony and Philharmonic Orchestras, covering a huge amount of repertoire with a number of international conductors and soloists. Recently, I’ve become involved with a number contemporary music string orchestra- Tiresisas Ensemble. In July, I played in Royal Festival Hall for the first time as part of the New Music Biennial 2017. I’m lucky enough also to play regularly with the RTE National Symphony Orchestra of Ireland and the RTE Concert Orchestra. Several things stand out to me for various reasons. My very first performance of Mahler Symphony No.1 with the National Youth Orchestra of Ireland will always stick in my mind as I was absolutely blown away by the sound! Performing and meeting Ray Chen was incredibly exciting as he is a world star who isn’t much older than me. Performing at the Irish Embassy in London was probably the scariest and the nervous moment of all while getting the chance to sit beside members of the LSO and RPO at Chipping Campden Music Festival was very special. I’ve always wanted to become a professional orchestral violinist so that of course is my main goal. In my mind, I always saw myself as a potential principal player, but I know I have to work incredibly on everything to even think about that. 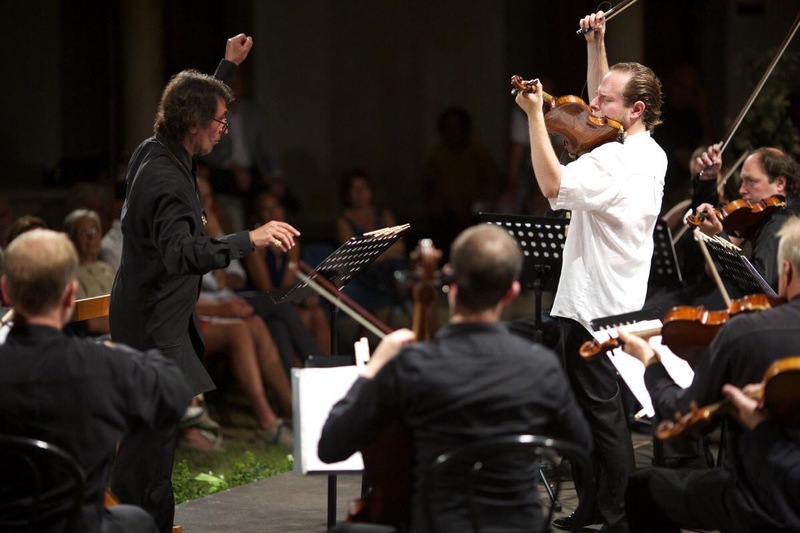 I love to play chamber music also so developing a concert series with a chamber group is on my ‘to do’ list. Outside music, I love long distance running so I want to cover a few more marathons. I missed out on the London Marathon Ballot but there are plenty of city marathons around. For someone like me who is aiming to become a professional orchestral musician, any organisation that facilitates the learning and experience of orchestral repertoire is incredibly important. The repertoire is so vast that it’s virtually impossible to cover everything at college. London Firebird means I can learn new repertoire very quickly and to a very high level. 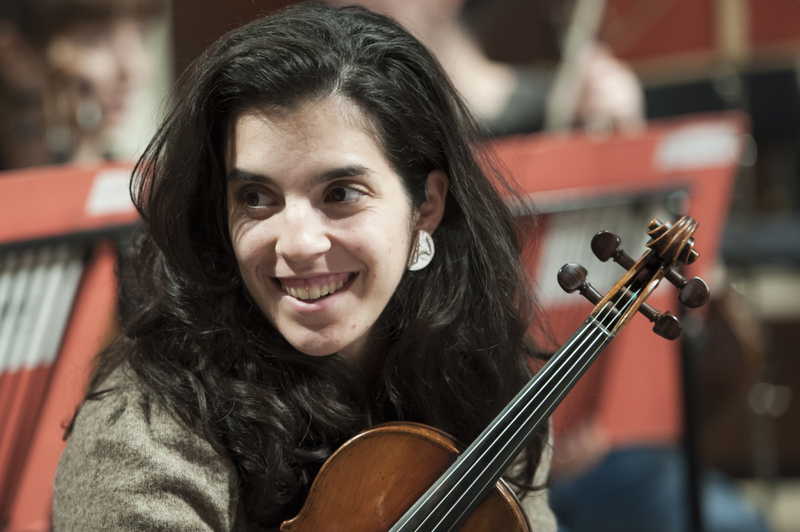 The next concert ‘Firebird Flies to the States’ on 12 June will include the World Premiére of a new work by the winner of the Firebird Composer of the Year Competition 2018. The Winner’s Prize will consist of £500 plus a live début public performance of the composition by London Firebird Orchestra conducted by Michael Thrift. An AV recording of the work will be produced, uploaded to YouTube and made available to the composer who will also be invited to the concert, share the applause, feature in the programme and publicity and receive 4 complimentary tickets. But be quick – the deadline for applications is Monday 30 April 2018. 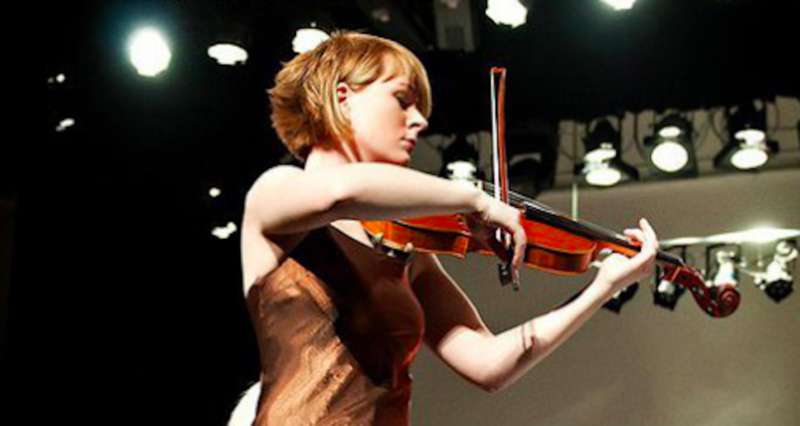 I began studying violin at age 8 in a school program in Canada with Robert McCausland. 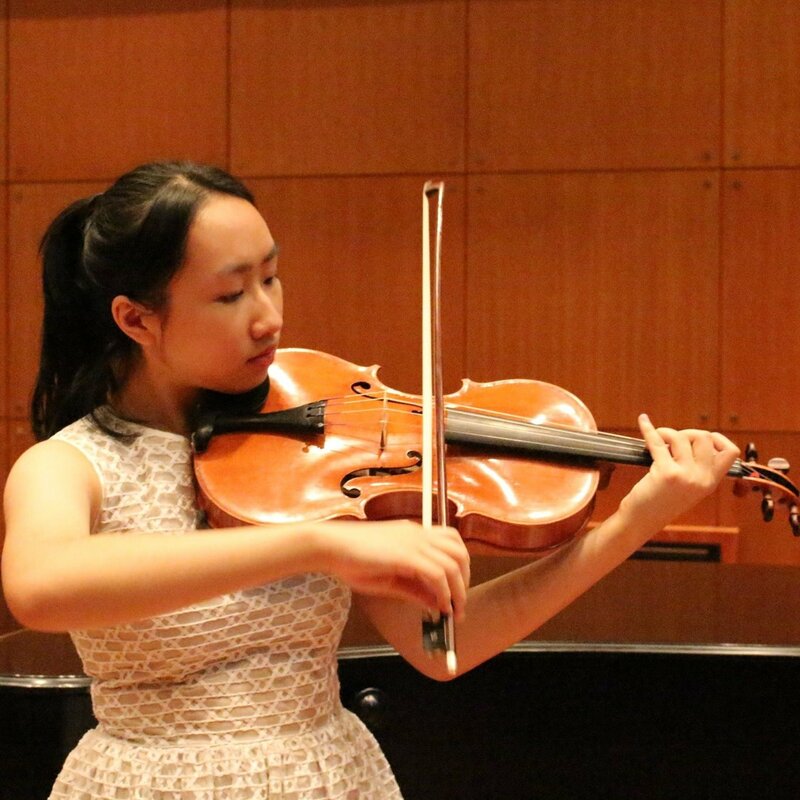 Performing Vivaldi in the school orchestra made me fall in love with playing, so I decided to pursue music seriously. I completed my undergraduate studies in violin with Nancy Dahn of Duo Concertante, (Memorial University of Newfoundland) and I completed my post-graduate studies in viola with Stephanie Griffin of the Momenta Quartet (City University of New York). Since moving to London, I have continued taking lessons, most recently with violist Roger Chase. And what other musical groups are you involved with? I have been fortunate to be involved with a diverse group of ensembles since moving to London including St Paul’s Sinfonia, the Hastings Philharmonic, Opera de Bauge (France) Quartet Pro Musica, Kammerphilharmonie Europa (Germany), and more recently with the Bournemouth Symphony Orchestra. It’s difficult to name only a couple of career highlights because I’ve been involved in so many wonderful projects, both as a soloist and as an ensemble member. Last May I returned to Canada to perform Mozart’s Sinfonia Concertante with the Timmins Symphony Orchestra, which was very special. I also performed a viola concerto, to be played with a laptop orchestra, from composers Margaret Schedel and Sarah O’Halloran, which I had the opportunity to perform with the Princeton Laptop Orchestra and again at Stony Brook University. My future ambitions are fairly modest. I simply want to keep doing a diverse range of projects, both with large orchestras and smaller ensembles. There was much to learn when I moved from New York, and the wonderful musicians of London have provided an incredible example of how to pursue a sophisticated artistry in music. 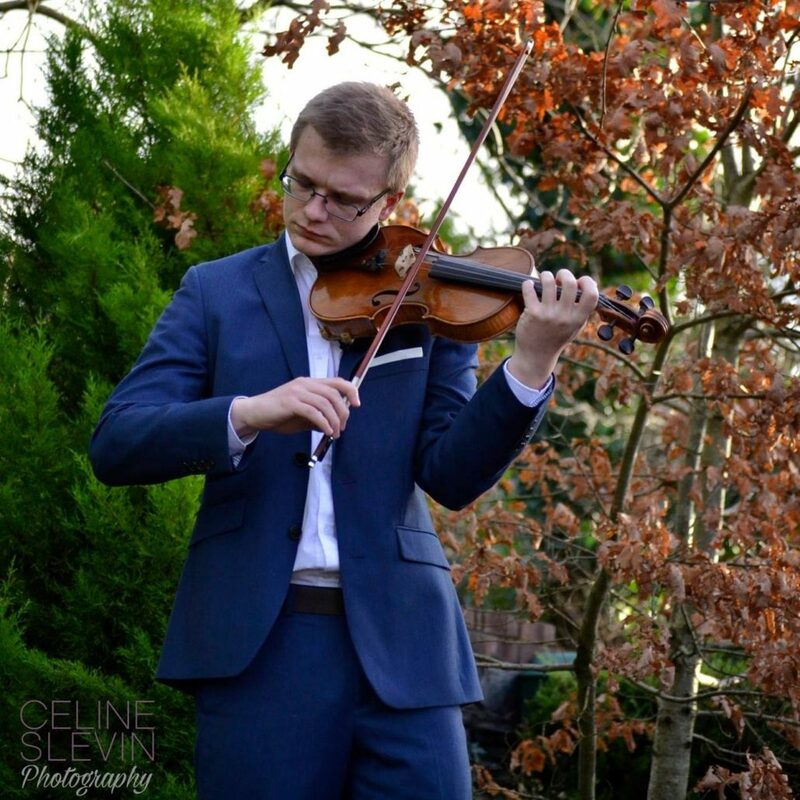 When I am a bit more settled in London, I would very much like to do a solo recital, and perhaps re-visit the Shostakovich Viola Sonata and some other works, so I have a chance to apply some depth to the music, now that my musical voice is starting to mature and come into its own. 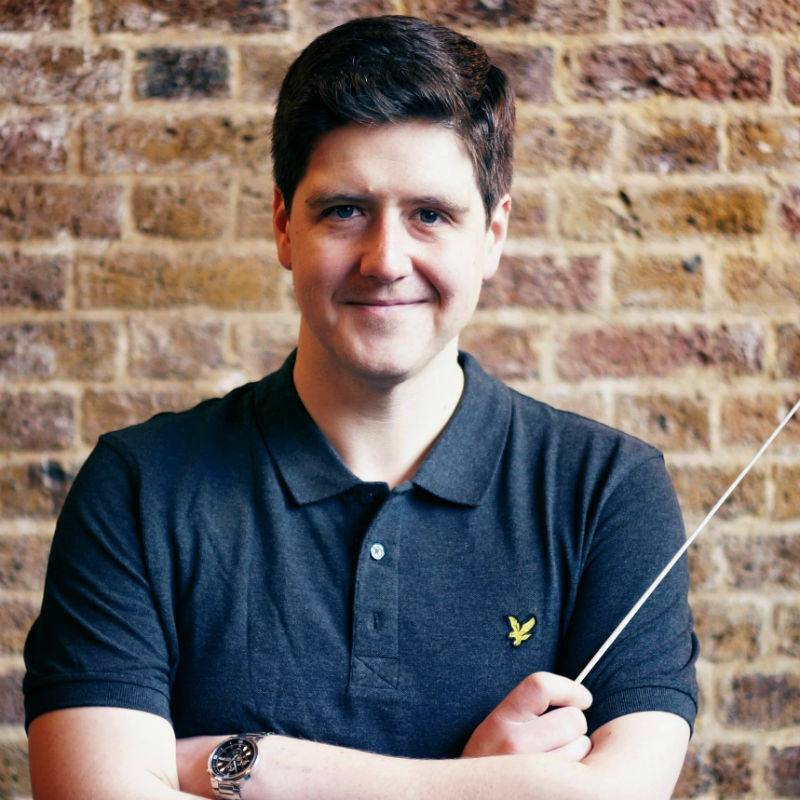 Firebird has been an important part of my life since moving to London – working with some really inspirational conductors, meeting keen players and really delving beneath the surface of some of classical master works. I love the energy level. There’s always a feeling of spontaneity when we play. Everyone is in their prime, trying to make their mark on the musical world and pushing the boundaries of what’s possible – a little softer, a little faster – it really brings the music to life and makes the performances memorable. 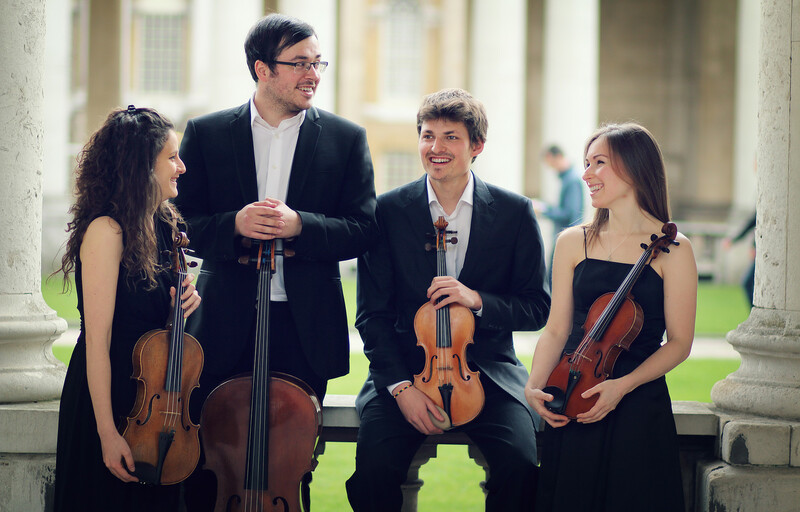 The next concert in the 2018 Firebird Season is on Sunday 25 March at Kings Place with Firebird’s Little Surprise. Join us for a fabulous evening of Haydn, Strauss, Mozart and Schubert. 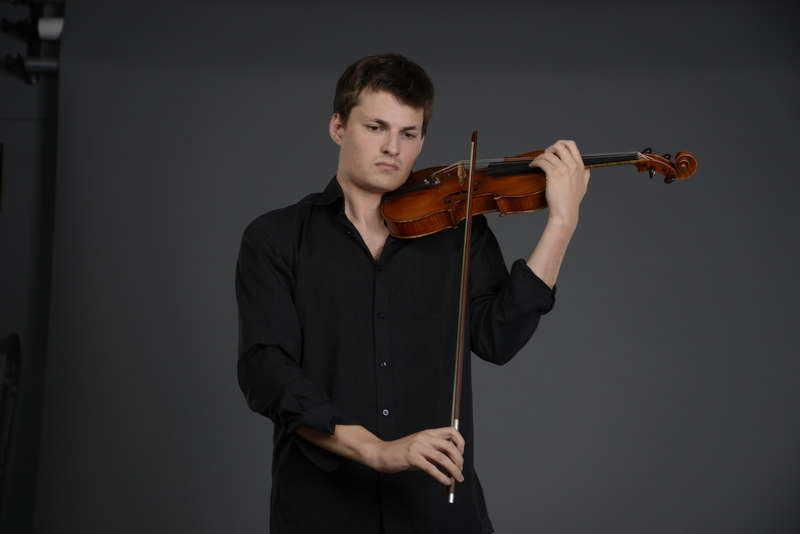 Firebird Well Seasoned is the apt title for the next concert on 8 February which will be directed from the violin by Thomas Gould – ‘one of the most talented and charismatic British violinists of younger generation’. ‘… a top soloist, happy to tackle old or new repertoire in concert hall or tramshed with symphony orchestra or accordion’. Although Thomas’s first love is the classical repertoire, he also performs in many other musical genres, with jazz increasingly an important strand of his career. 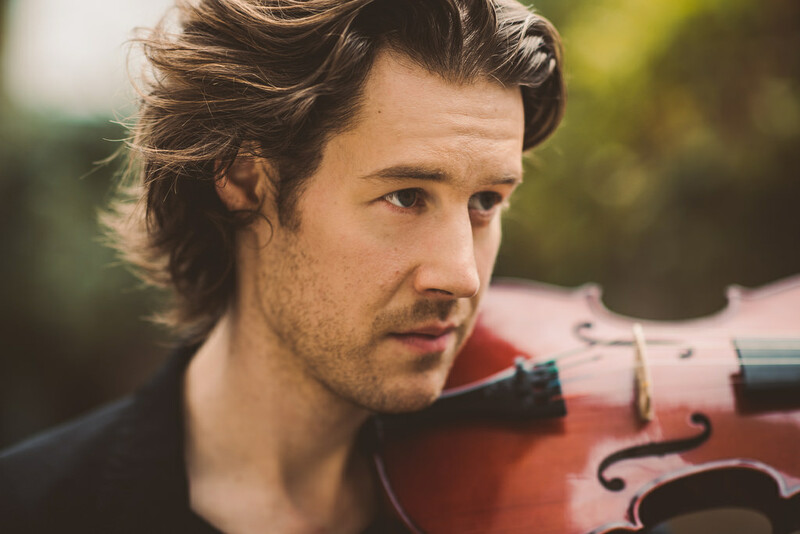 Contemporary music is another key interest and Thomas premiered numerous works by composers including Nico Muhly, whose concerto for six-string electric violin, Seeing is Believing, Thomas recorded with Aurora Orchestra in 2011 to critical acclaim. 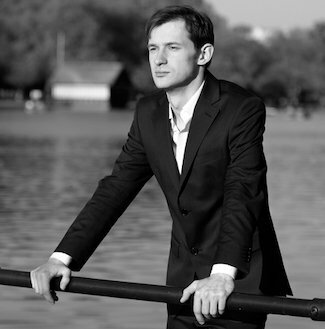 Thomas Gould has also performed as soloist and director with Sinfonietta Riga, with whom he recorded Beethoven’s Violin Concerto and Vaughan Williams’ The Lark Ascending. And on the other side of the musical spectrum he has worked with Radiohead, Rufus Wainwright and Burt Bacharach. 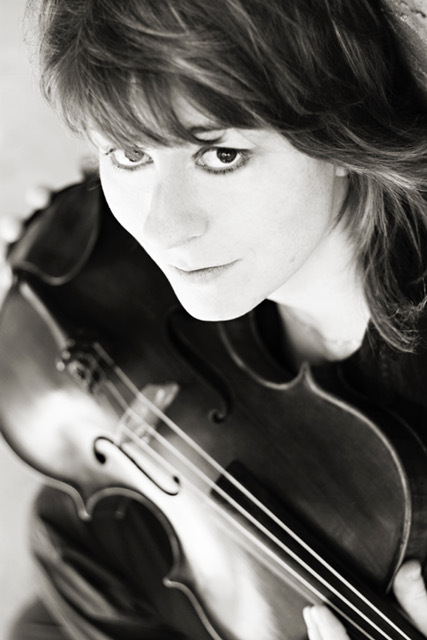 ‘One of the most talented and charismatic British violinists of the younger generation’.